Green Tea is a natural product which origins from ancient China. What most people are unaware of is that Green Tea works as great Fat Burner and antioxidant. One cup of Green Tea has more antioxidant power than the same amount of fresh fruit, juice, or wine. As an antioxidant it cleans the body from free radicals who are produced after workout. As a fat burner containing caffeine it helps boost your metabolism and burn fat. It is essential during periods where you are trying to get cut. 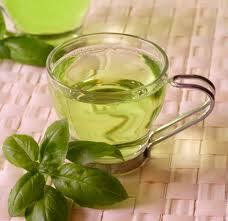 Recent studies also suggested that Green Tea can long-termly protect from heart diseases and cancer. Green Tea is easy to find in the market as a drink or in pill form. Depending on how much fat you are aiming to lose drink from one to three cups a day. Are Weight Lifting Supplements Safe and Effective? Adding Strength And Mass To Your Quads! How To Resist Muscle Fatigue ?